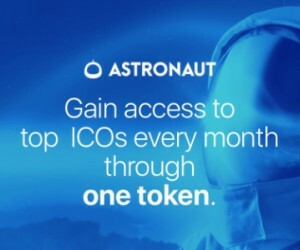 Astronaut Token is a unique crypto investment service which seeks to capitalize on the growth and market adoption of crypto currencies and Initial Coin Offerings (ICOs). In 2017 alone, over $1.3 billion has been raised in the ICO market – almost double that of traditional venture capital. backed investment methodology to avoid boom and bust cycles. and currencies through one simple channel, avoiding the need for their own due diligence and subscription process. research team, Picolo Research, they maintain the highest of due diligence standards to ensure they maximise risk-adjusted portfolio returns. market appreciation. This is a long-term investment.